Win a TEFL Course in London or Bogota! Would you like to win a TEFL course in one of two fantastic worldwide locations? Cactus TEFL is bringing back our popular Suzanne Furstner Scholarship in January 2016, and this time we are excited to be giving away not one, but two TEFL courses! 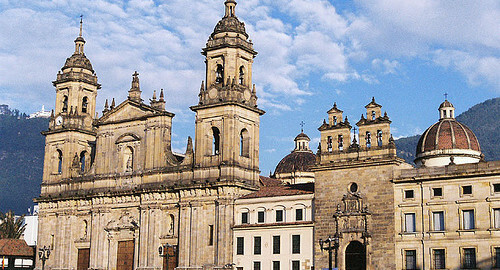 Become a qualified English teacher in the vibrant heart of London, or jet off to Colombia’s historic capital to gain your prestigious CELTA qualification – the choice is yours. These are two of the best teacher training courses available and will equip you with the skills and confidence you need to launch a career teaching English. The winners will be required to create a video diary of their course to be published by Cactus. An annual scholarship that gives aspiring teachers from all the world the chance to win a TEFL course, the Suzanne Furstner Scholarship was set up in 2006 in memory of our much-loved colleague Suzanne. To date, we have sent winners to take CELTA and CertTESOL courses in locations ranging from Spain and Italy to San Franciso and Playa del Carmen. Remember, entries are accepted from 1st January 2016, so you have plenty of time to start thinking and make your dreams come true in 2016! http://www.cactusworldwide.com/blog/wp-content/uploads/2015/10/451010596_3ce587d151.jpg 337 500 Sarah Watkins http://www.cactusworldwide.com/blog/wp-content/uploads/2013/07/cactus-blog1.jpg Sarah Watkins2015-10-27 16:49:052015-11-20 09:44:09Win a TEFL Course in London or Bogota! Cactus TEFL is delighted to announce that the Suzanne Furstner Scholarship will be back in 2016 – with not just one course, but two courses to be won! If you have ever dreamed of qualifying to become an English language teacher, this is your chance to win a TEFL course in London or South America. London is our most popular location to take a TEFL course – an exciting city with opportunity everywhere – while South America is exotic and thrilling, and already in the spotlight with the Rio Olympics less than a year away. The competition opens in January 2016 and full details will be released shortly, but our sneak preview can tell you this: entrants will need to make a video of 3 minutes maximum to show us why they want to teach English! Keep posted for more details of the Suzanne Furstner Scholarship 2016! Free Language Courses: 11 Courses To Win! Cactus is giving away 11 free language courses in exciting locations across the globe! 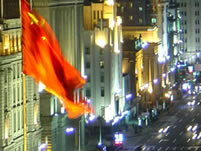 Learn Chinese in one of China’s biggest and most exciting cities – Shanghai. Feel the buzz of its vibrant music and club scene, shop til you drop, admire the city’s beautiful architectural heritage and indulge in delectable food – this should be on everyone’s ‘to-do’ list! 1 x 1 week General Mandarin Course (20 lessons) in Shanghai with Mandarin House. Prize includes 6 nights’ accommodation in a shared apartment. Whether you want to enjoy the glamorous Côte d’Azur in Nice, be chic in Paris, sip wine in Bordeaux or catch some waves in Biarritz, we have a fantastic choice of prizes to learn French in France! 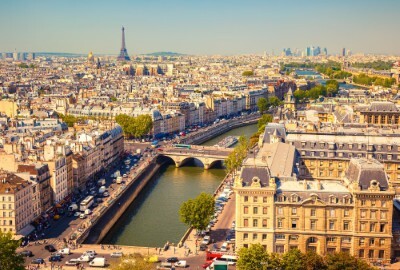 1 x 1 week General French Course (20 lessons) in Nice, Paris, Bordeaux or Biarritz with France Langue. Prize includes 6 nights’ accommodation in a host family. 1 x 1 week French & Cooking Course (20 language + 2 cooking lessons) in Nice with France Langue. Prize includes 6 nights’ stay in a host family. There can be fewer exciting places than Berlin to learn German, a city of fascinating history, cutting edge architecture, first class food and nightlife like no other – and we have two courses to be won in this captivating German capital! 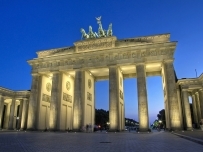 2 x 1 week General German Course (20 lessons) in Berlin with GLS. Prize includes activities but not accommodation. If your idea of heaven is a twinkling blue sea, pastel coloured buildings adorning the hillside, bougainvillea tumbling over balconies and mouthwatering food and wine, then this Italian course in Salerno should be yours! 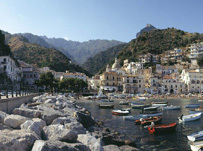 1 x 1 week General Italian Course (20 lessons) in Salerno with Accademia Italiana. Prize includes 6 nights’ accommodation in a shared apartment OR host family. Portugal’s colourful capital is an inspiring place to learn Portuguese, with its cobbled streets, iconic yellow tram, traditional bars and leafy plazas. Learn Portuguese on its own or take painting lessons too – we have two fantastic prizes to be won here! 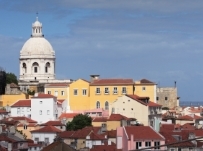 1 x 1 week General Portuguese Course (20 lessons) in Lisbon with Portuguese Connection. Prize includes 6 nights’ accommodation in a host family. 1 x 1 week Portuguese & Painting Course (20 language + 6 painting lessons) in Lisbon with Portuguese Connection. Prize includes 6 nights’ accommodation in a host family. If you want to learn Russian in stunning surroundings, Latvia’s capital, Riga, fits the bill perfectly. A treasure trove of art-nouveau architecture, this is a city of elaborately carved façades, funky gargoyles, winding cobbled streets and stately boulevards – as well as the most unexpectedly brilliant nightlife. 1 x 1 week General Russian Course (20 lessons) in Riga with Durbe Latvia. Prize includes 6 nights’ accommodation in a shared apartment OR, for students under 18 years, in a host family. It’s impossible not to fall in love with Valencia, and we’re delighted to be able to offer two people the chance to jet off to this charming city on Spain’s eastern Mediterranean coast. Home of paella, fabulous festivals, a bustling port and excellent beaches, this is one our favourite places to learn Spanish. 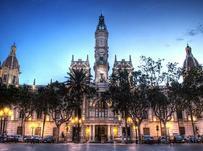 2 x 1 week General Spanish Course (20 lesson) in Valencia with Taronja. Prize includes 6 nights’ accommodation in a shared apartment. Evening Language Course Prize We are also offering ONE free evening course in any location in the UK! The lucky winner will be able to choose their preferred language and location for a 10-week evening course starting in January 2016. See our evening courses website for full details of courses near you. Please consult our Terms and Conditions for full details of the competition and individual prizes. We look forward to seeing you, and good luck! If you have a language learning or language teaching query that you can’t find the answer to, please get in contact with us either by Facebook or by Twitter, or contact us here. http://www.cactusworldwide.com/blog/wp-content/uploads/2015/09/Paris-big.jpg 274 400 Sarah Watkins http://www.cactusworldwide.com/blog/wp-content/uploads/2013/07/cactus-blog1.jpg Sarah Watkins2015-09-03 12:44:052015-11-26 10:22:50Free Language Courses: 11 Courses To Win! Everybody likes something for free, and even better if that something will boost your brain power, improve your job prospects and enhance your holidays! Yes, it’s a language course – a 10-week evening course, in any language you choose and in any of our 19 locations across the UK. This is a fantastic opportunity to improve your skills in an existing language or try something completely new – the choice is yours! To be in with a chance of winning one of our popular evening courses, simply sign up here by 30th September 2015. The winner will be picked and contacted on 1st October and should choose their language course by 3rd October, to start in October 2015 or January 2016. Cactus offers evening courses in 10 locations across London and other UK locations including Manchester, Brighton, Bristol, Oxford, Leeds, Liverpool and Sheffield. Win a free language course in the location closest to you! If you have a language learning or language teaching query, please visit our blog or get in contact with us either by Facebook or by Twitter. Alternatively, feel free to contact us here or call to speak to one of our advisors on 00 44 (0) 1273 830 960. Cactus is a leader in language learning, with many years’ experience designing and implementing language courses for all needs and interests. We know that different people learn in different ways, and we can help you to learn a language your way. Discover all the options with our Learn a Language Your Way Video. Whether you are looking for a 10-week evening language course to fit into your working week, a private language course via Skype or face-to-face, a TEFL course to enable you to teach English the world over, or a language course abroad where you can truly immerse yourself in the language and culture, Cactus has the language learning solutions you need. Congratulations to Shervin Hejazi who has won this year’s Suzanne Furstner Scholarship. Shervin wins a 4-week CertTESOL course in Prague with Oxford House TEFL during 2015. The class of students put their pens down, except the odd one or two who frantically try to finish their last sentence. It is my weekly intermediate English class to young Spanish students who wish to be fluent in the English language, and today’s exercise is to write about your ‘dream job’. Suddenly the class erupts into laughter. “Oh,” Alex bemoans, his head sinking as the beam disappears from his face. One by one, my class of students share their hopes, dreams and passions. There were future lawyers, teachers, psychiatrists, athletes; as well as the less typical: circus clowns, comic book artists and ghost writers. It was a diverse class of optimists and enthusiasts, all determined to make their mark on the world, all possessing that young belief that the world is truly their oyster. Suddenly, I felt a pang of pride. Here I was, witnessing the development of a new generation of bright minds. I felt truly grateful that they accepted me as a tutor in aid of their journey. And then there was no laughter. There was only silence. A universal silence, as each student knew that what Clara had said was something worth pondering. It was a noble endeavour, a reasonable dream, and my previous pang of pride could be felt once again, even stronger. I look around the class of students, watching their faces as they eagerly anticipate an answer. A knowing smile forms across my face. I pause to smile again. The Suzanne Furstner Foundation was set up in memory of our much-loved friend and colleague Suzanne Furstner. The annual Scholarship reflects Suzanne’s love of TEFL, languages and travel, awarding a full time TEFL course in one of our best worldwide locations. Please visit www.cactustefl.com for details of all our TEFL courses and the Suzanne Furstner Foundation. Suzanne Furstner Scholarship 2014: enter now to win a TEFL course! Thinking of taking a TEFL course? Look no further if you want to WIN a prestigious Trinity CertTESOL course in the historic city of Prague, Czech Republic. July 1st marked the launch of the 2014 Suzanne Furstner Scholarship, giving would-be teacher trainers the chance to win a TEFL course in an exotic corner of the globe. 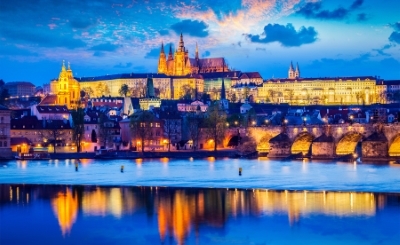 This year we’re delighted to announce that the beautiful Czech capital of Prague is home to our scholarship prize of a fantastic 4-week Trinity CertTESOL course, to be taken in 2015. The scholarship assignment is to write a maximum of 1,000 words on the topic ‘My Dream Teaching Job’, in addition to a short language awareness task. Full details and an application form are available on the Cactus TEFL website, as well as examples of previous winners’ entries. The deadline for submissions is 1st October 2014. Cactus is proud to run the Suzanne Furstner Scholarship each year as part of the Suzanne Furstner Foundation, which was set up in memory of our much-loved friend and colleague, Suzanne, who we tragically lost in a road accident in Spain in 2006. The Foundation aims to support language and educational projects across the world, a subject that was close to her heart. Good luck to all those that enter – we’re looking forward to reading your entries and to sending one of you off to train to be teacher in Prague next year! Cactus TEFL is an independent TEFL course admissions and advice service. We work with schools across the globe to deliver high quality, professionally-delivered teacher training courses. 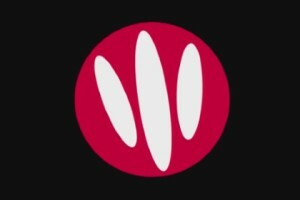 http://www.cactusworldwide.com/blog/wp-content/uploads/2013/08/SFF-logo.jpg 151 203 Sarah Watkins http://www.cactusworldwide.com/blog/wp-content/uploads/2013/07/cactus-blog1.jpg Sarah Watkins2014-07-02 11:03:592014-07-08 11:15:57Suzanne Furstner Scholarship 2014: enter now to win a TEFL course! To celebrate the first day of this year’s football World Cup, Cactus launched a competition to give away a FREE 10-week evening course in the UK. We’re delighted to announce that our winner is Heather Kingsley. Heather has taken a number of Spanish courses in London with Cactus over the past few years, progressing from beginner to intermediate level, and she has chosen to use her free course to study Spanish Intermediate 3 in Kings Cross, London next month. Many congratulations to Heather and thank you to everyone who ‘liked’ us over the first World Cup weekend! By joining us on Facebook you will be the first to see future language course promotions and have the chance to participate in more language-related fun and discussions. 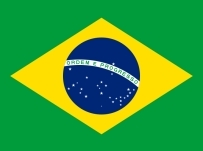 Cactus runs 10-week foreign language evening courses in London and nationwide. Our next courses start in July and September 2014. Thank you to everyone who submitted a comment about their teacher for the Cactus Teacher Awards last term (January-March 2014). As usual we received many wonderful comments about our teachers, and would like to thank both our students for taking the time to send in feedback and also our teachers for continually delivering such excellent courses. We’re delighted to announce that our winning teacher was Lucie Prior, who taught our French Beginners 2 course in Victoria, London. Lucie wins a £100 voucher plus a certificate from Cactus and her student, Sophie Johnson, wins a free 10-week evening course. Below are Sophie’s comments, along with three more of our best entries. “My teacher, Lucie Prior, deserves to win this award as she is an exceptional teacher. Her classes are lots of fun – after a long day at work and a trek across London, who would have thought that 2 hours of French would be something I would look forward to so much and leave on a high. Lucie is always energetic, dynamic and light-hearted and her classes reflect this. Her approach gets the best out of her students as she puts us at ease and has everyone participating right from the start. Lucie’s classes are particularly enjoyable as they are so diverse. 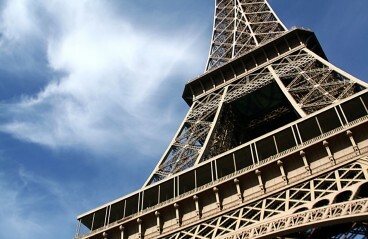 As well as covering the required grammar and vocab, we learn a lot about French culture. Lucie’s range of ideas and exercises always keeps the lessons fresh, including film clips, questionnaires, games, mime and song excerpts. Congratulations to everyone and look out for our Teacher Awards next term – next time it could be you! Cactus runs evening courses in London and in locations across the UK. The spring term starts in April and the Teacher Awards will run again (deadline Friday 27th June).